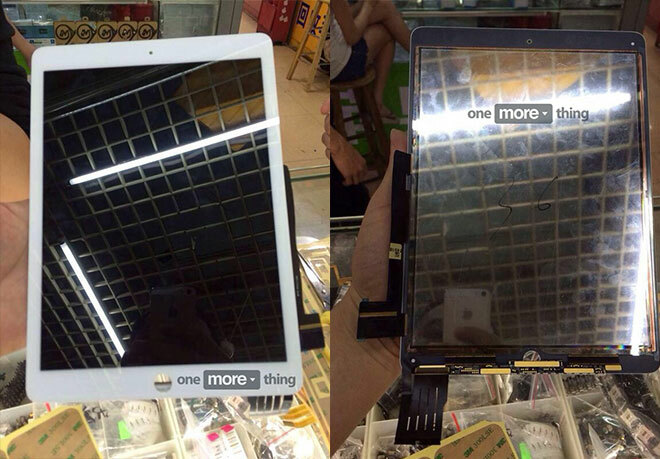 A bunch of photos of the upcoming second-generation iPad Air have leaked straight from factory floors in China. The photos are obtained by Dutch website OneMoreThing and show the iPad’s glass front, which now has the LCD layer integrated into the glass itself – currently, that’s not the iPad Air’s case where the two layers are distinct from one another. And here’s the front panel compared with a coin for measure. 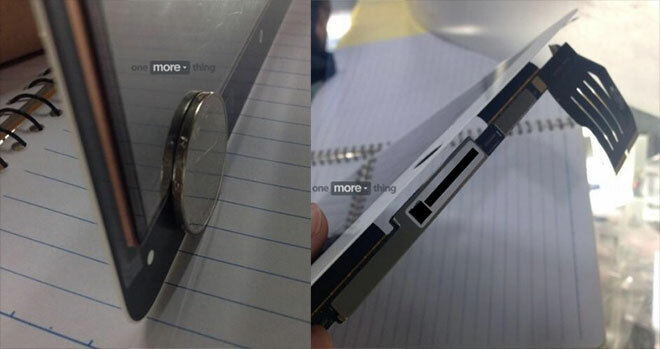 According to the report, it’s just 1.5mm thick, which could allow Apple to fit a larger battery. The iPad Air 2 is expected to hit store shelves in the third quarter of the year and sport the TouchID fingerprint sensor introduced with the iPhone 5s. In addition, rumors have it the next generation Apple slate would pack an 64-bit A8 processor and an 8MP rear camera. We’ll keep our eyes peeled for more information on the tablet.